HACKETTSTOWN, NJ — Local residents graduated from Centenary College recently. Koko Tanimoto Kondo ’66, one of the youngest Hiroshima A-bomb survivors and an internationally recognized peace advocate, was this year’s keynote speaker. Kondo’s life message of peace and reconciliation provides a powerful and inspiring message about bringing healing to one’s self and to the world. She was born Koko Tanimoto in November 1944. At the moment the bomb was dropped at 8:16 a.m. on August 6, 1945, she was an eight-month-old infant at home less than one mile away from the hypocenter of the atomic bomb dropped on Hiroshima, the first of two atomic bombs used during World War II. While she was too young to remember the bombing, she grew up amid the destruction of her town and saw the long-lasting effects that radiation poisoning had on its citizens. As a child, Kondo was heavily influenced by her father, the Rev. Kiyoshi Tanimoto. He was instrumental in helping rebuild the city and promoting a message of peace. He created the Hiroshima Maiden Project, which assisted young girls who had become disfigured from the attack. He worked with the Moral Adoption Project, which raised funds in the United States to build orphanages in Hiroshima for war orphans. On May 11, 1955, Kondo and her father appeared on the popular television program “This is Your Life,” where they met Capt. Robert A. Lewis, the co-pilot of Enola Gay, the B-29 aircraft that dropped the atomic bomb on Hiroshima. Kondo attributes this meeting with a life-changing, transformative learning experience. From that experience she learned to embrace the enormous contradictions and paradoxes of her hibakusha experiences, which roughly translates to “explosion-affected people,” and now exudes an affirmative energy and compassion that inspires young and old alike. Kondo received her Associate in Arts degree from Centenary College in 1966, and her Bachelor of Arts degree from American University in 1969. In addition to Kondo, Kenneth Lee Hahn, Centenary College Trustee, received a Honorary Doctorate degree in Humane Letters. 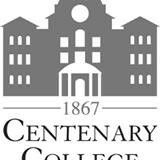 Hahn has been a Trustee of Centenary College since 2000. He serves as the First-Vice Chair of the Board, and Chair of the Enrollment, Marketing and Technology Committee; and is a member of the Personnel and the Endowment Campaign Committees. Hahn’s career included American Airlines where he worked in Internal Audits and Security and Johnson & Johnson in the Corporate Information Division (retired). A resident of Tewksbury Township, he was elected to the Township Committee for four consecutive three-year terms and also served as Mayor. The graduating class included undergraduate and graduate students from the main campus in Hackettstown and the Centenary College School of Professional Studies learning centers in Parsippany and Edison. Degrees that were awarded to the 429 graduates participating in the ceremony were as follows: 12 Associate of Arts and 1 Associate of Science; 133 Bachelor of Arts; 24 Bachelor of Fine Arts; 151 Bachelor of Science; 13 Bachelor of Social Work; 27 Master of Arts; 6 Master of Education; and 62 Master of Business Administration. Eighteen of the graduating seniors were from Centenary’s School of International Programs. Founded in 1867 by the Newark Conference of the United Methodist Church, Centenary College’s academic program integrates a solid liberal arts foundation with a strong career orientation. This mix is designed to provide an educational experience that prepares students to succeed in the increasingly global and interdependent world. Centenary College’s main campus is located in Hackettstown, N.J., with its equestrian facility in Washington Township (Morris County). The Centenary College School of Professional Studies offers degree programs in two locations: Parsippany and Edison, online and at corporate sites throughout New Jersey. The School of International Programs recruits international students for study at Centenary and Centenary students for study abroad.